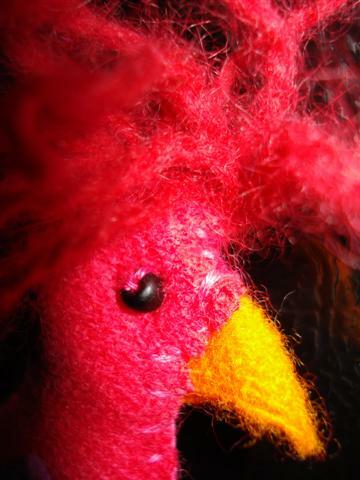 I have made so many pairs of these over the years, but always for grownups: friends, husbands (current and ex) and self. 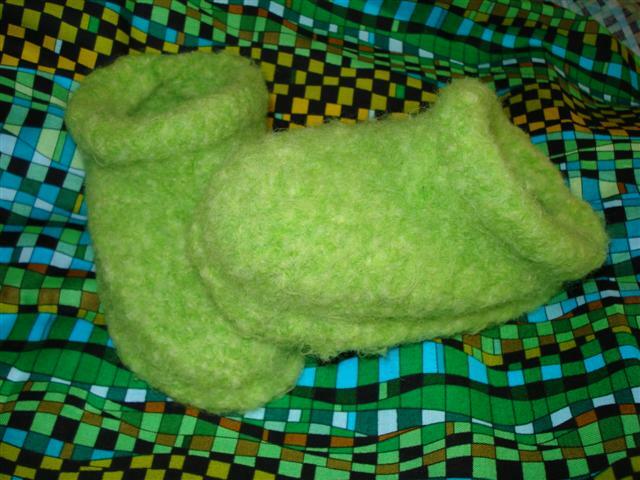 These adorable clog slippers for the Boogedy were the most fun. They knit up Really fast…two days on the bus. 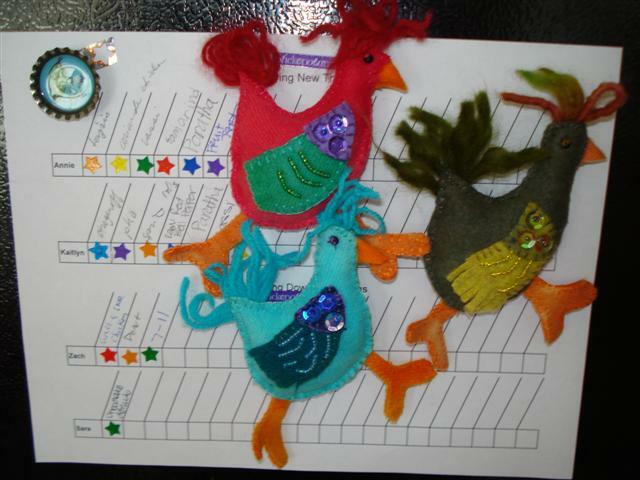 I was so impatient during the felting process. They sat in my dish drainer overnight to dry out. The Boogedy is unimpressed, as he is with all footwear. We tried showing him that mom and dad both have slippers. (the answer was NO: “nu-nu-nu!”). We called them “shoes” one of is favorite words (“shu-es? shu-es?”)–no. We said they were socks (sahs? ), but he just didn’t buy it. Zach then did what we used to have to do when putting on shoes of any kind. Shoving them on, then suspending him an inch above the floor and making him “run” throughout the house chasing the dog. This elicited giggles, and temporary forgetfulness of the shu-es. However, as soon as the fun stopped, those slippers had to come RIGHT OFF. We’ll try again everyday until he loves them as much as we love ours, or he becomes cognizant that we have cold hard wood floors. FYI: I used this Fibertrends pattern, which I purchased at Black Sheep Wool Co., my favorite local yarn shop. I knitted them up using that gorgeous Cascade Quatro Yarn, of which I love every color! 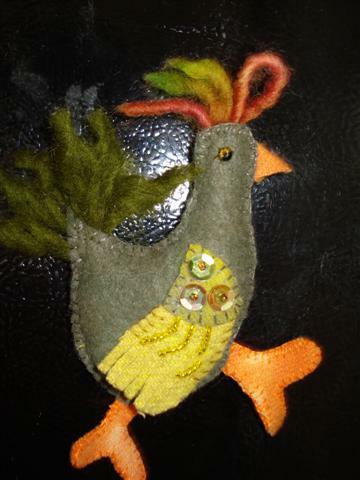 Each winner of the chicken-naming contest received one of these handmade chicken magnets for their fridge. Meldrick (red), Lady Tremaine (aqua), and Ugly Betty (green). 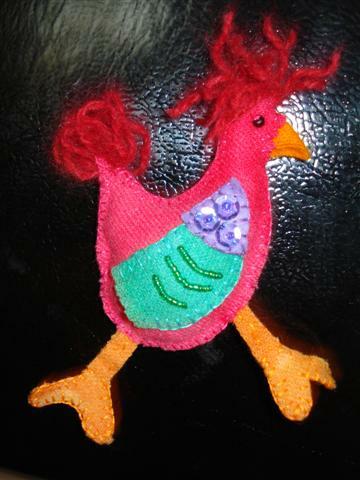 The chickens are made from home-dyed woolen fabrics and felts, yarn, cotton floss, beads, sequins, and stuffin’. They have strong magnets sewn inside. This was a fun project for waiting in line at the DMV to register the van on April 30th. 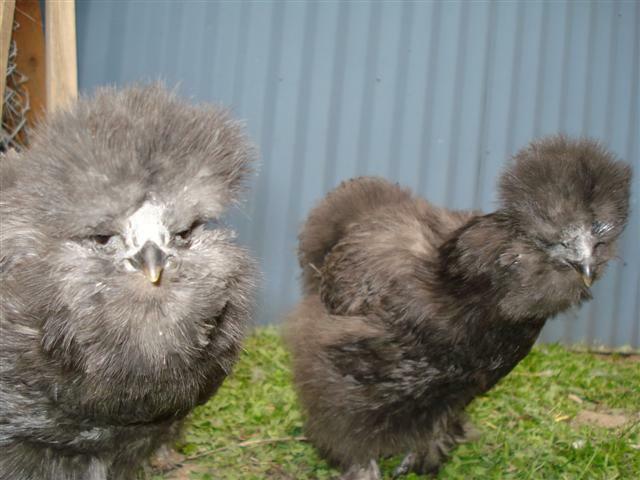 Thanks to everyone who entered the chicken-naming contest! Here are the winners. 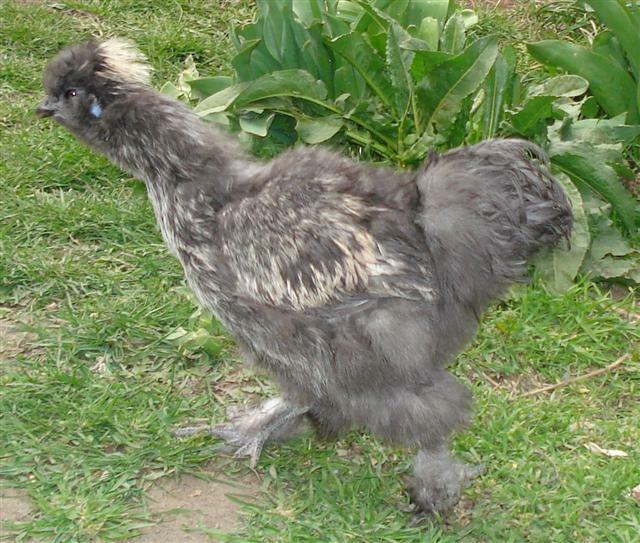 My sister Jeaka successfully named our suspected rooster, Meldrick the Magnificent. Meldrick is now practicing his crow, and will be leaving his sisters to live in Sandy as soon as he starts waking up our neighbors. And these two dames are Lady Tremaine, Evil stepmother in training (on the left, Thanks Kaitlyn!) 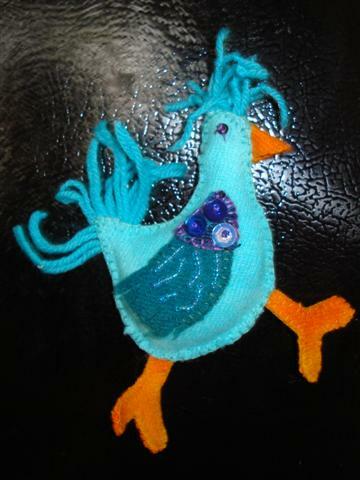 and Ugly Betty (suggested by Aunt Sue).